Ford F-250 Bronco 1980 1981 1982 1983 1984 1985 1986 1987 1988 1989 1990 1991 1992 1993 1994 1995 Workshop Repair Service Manual PDF. This PDF manual covers the repair and overhaul of Ford F-250 Bronco 1980 1981 1982 1983 1984 1985 1986 1987 1988 1989 1990 1991 1992 1993 1994 1995 cars and assumes that the technician is fully conversant with general automobile practices. The repair procedures outlined in this manual emphasize the special aspects of the product. This will enable you to build and maintain a reputation of quality service. The PDF manual includes instructions on components manufactured for Ford F-250 Bronco 1980 1981 1982 1983 1984 1985 1986 1987 1988 1989 1990 1991 1992 1993 1994 1995. For repairs of proprietary components the instructions of the respective component manufacturers are included in this manual. The purpose behind incorporating these instructions in this manual is to enable technicians to understand their functions properly and thus judge the performance of the car as a whole. We have endeavored to ensure the accuracy of the information in this PDF manual. This is a complete Service Manual contains all necessary instructions needed for any repair your Ford F-250 Bronco 1980 1981 1982 1983 1984 1985 1986 1987 1988 1989 1990 1991 1992 1993 1994 1995 may require. Tune ups for Ford F-250 Bronco 1980 1981 1982 1983 1984 1985 1986 1987 1988 1989 1990 1991 1992 1993 1994 1995. Maintenance for Ford F-250 Bronco 1980 1981 1982 1983 1984 1985 1986 1987 1988 1989 1990 1991 1992 1993 1994 1995. Removal & install procedures for Ford F-250 Bronco 1980 1981 1982 1983 1984 1985 1986 1987 1988 1989 1990 1991 1992 1993 1994 1995. Assemblies & disassemblies for Ford F-250 Bronco 1980 1981 1982 1983 1984 1985 1986 1987 1988 1989 1990 1991 1992 1993 1994 1995. Fuel system for Ford F-250 Bronco 1980 1981 1982 1983 1984 1985 1986 1987 1988 1989 1990 1991 1992 1993 1994 1995. Ignition for Ford F-250 Bronco 1980 1981 1982 1983 1984 1985 1986 1987 1988 1989 1990 1991 1992 1993 1994 1995. Lubrication system for Ford F-250 Bronco 1980 1981 1982 1983 1984 1985 1986 1987 1988 1989 1990 1991 1992 1993 1994 1995. Exhaust for Ford F-250 Bronco 1980 1981 1982 1983 1984 1985 1986 1987 1988 1989 1990 1991 1992 1993 1994 1995. Electrical system for Ford F-250 Bronco 1980 1981 1982 1983 1984 1985 1986 1987 1988 1989 1990 1991 1992 1993 1994 1995. Body for Ford F-250 Bronco 1980 1981 1982 1983 1984 1985 1986 1987 1988 1989 1990 1991 1992 1993 1994 1995. Or more extensive repair involving ENGINE and TRANSMISSION disassembly for Ford F-250 Bronco 1980 1981 1982 1983 1984 1985 1986 1987 1988 1989 1990 1991 1992 1993 1994 1995. The aim of this manual is to help you get the best value from your Ford F-250 Bronco 1980 1981 1982 1983 1984 1985 1986 1987 1988 1989 1990 1991 1992 1993 1994 1995. This manual includes many of the specifications and procedures that were available in an authorized Ford F-250 Bronco 1980 1981 1982 1983 1984 1985 1986 1987 1988 1989 1990 1991 1992 1993 1994 1995 dealer service department. For many simpler jobs, doing it yourself may be quicker than arranging an appointment to get the Ford F-250 Bronco 1980 1981 1982 1983 1984 1985 1986 1987 1988 1989 1990 1991 1992 1993 1994 1995 into a dealer and making the trips to leave it and pick it up. For those intending to do maintenance and repair on their Ford F-250 Bronco 1980 1981 1982 1983 1984 1985 1986 1987 1988 1989 1990 1991 1992 1993 1994 1995, it is essential that safety equipment be used and safety precautions obseved when working on the Ford F-250 Bronco 1980 1981 1982 1983 1984 1985 1986 1987 1988 1989 1990 1991 1992 1993 1994 1995. This includes a torque wrench to ensure that fasteners are tightened in accordance with specifications. In some cases, the text refers to special tools that are recommended or required to accomplish adjustments or repairs. These tools are often identified by their Ford F-250 Bronco 1980 1981 1982 1983 1984 1985 1986 1987 1988 1989 1990 1991 1992 1993 1994 1995 special tool number and illustrated. The Ford F-250 Bronco 1980 1981 1982 1983 1984 1985 1986 1987 1988 1989 1990 1991 1992 1993 1994 1995 owner will find that owning and referring to this manual will make it possible to be better informed and to more knowledgeably repairs like a professional automotive technician. General Information for Ford F-250 Bronco 1980 1981 1982 1983 1984 1985 1986 1987 1988 1989 1990 1991 1992 1993 1994 1995. Lubrication for Ford F-250 Bronco 1980 1981 1982 1983 1984 1985 1986 1987 1988 1989 1990 1991 1992 1993 1994 1995. Heating for Ford F-250 Bronco 1980 1981 1982 1983 1984 1985 1986 1987 1988 1989 1990 1991 1992 1993 1994 1995. Ventilatin for Ford F-250 Bronco 1980 1981 1982 1983 1984 1985 1986 1987 1988 1989 1990 1991 1992 1993 1994 1995. Air Conditioning for Ford F-250 Bronco 1980 1981 1982 1983 1984 1985 1986 1987 1988 1989 1990 1991 1992 1993 1994 1995. Suspensionfor Ford F-250 Bronco 1980 1981 1982 1983 1984 1985 1986 1987 1988 1989 1990 1991 1992 1993 1994 1995. Front Suspension for Ford F-250 Bronco 1980 1981 1982 1983 1984 1985 1986 1987 1988 1989 1990 1991 1992 1993 1994 1995. Rear Suspension for Ford F-250 Bronco 1980 1981 1982 1983 1984 1985 1986 1987 1988 1989 1990 1991 1992 1993 1994 1995. Wheel for Ford F-250 Bronco 1980 1981 1982 1983 1984 1985 1986 1987 1988 1989 1990 1991 1992 1993 1994 1995. Tire System for Ford F-250 Bronco 1980 1981 1982 1983 1984 1985 1986 1987 1988 1989 1990 1991 1992 1993 1994 1995. Differential for Ford F-250 Bronco 1980 1981 1982 1983 1984 1985 1986 1987 1988 1989 1990 1991 1992 1993 1994 1995. Driveline for Ford F-250 Bronco 1980 1981 1982 1983 1984 1985 1986 1987 1988 1989 1990 1991 1992 1993 1994 1995. Drive Shaft for Ford F-250 Bronco 1980 1981 1982 1983 1984 1985 1986 1987 1988 1989 1990 1991 1992 1993 1994 1995. Transfer Case for Ford F-250 Bronco 1980 1981 1982 1983 1984 1985 1986 1987 1988 1989 1990 1991 1992 1993 1994 1995. Brakes for Ford F-250 Bronco 1980 1981 1982 1983 1984 1985 1986 1987 1988 1989 1990 1991 1992 1993 1994 1995. Engine for Ford F-250 Bronco 1980 1981 1982 1983 1984 1985 1986 1987 1988 1989 1990 1991 1992 1993 1994 1995. Engine Mechanical for Ford F-250 Bronco 1980 1981 1982 1983 1984 1985 1986 1987 1988 1989 1990 1991 1992 1993 1994 1995. Engine Cooling for Ford F-250 Bronco 1980 1981 1982 1983 1984 1985 1986 1987 1988 1989 1990 1991 1992 1993 1994 1995. Engine Fuel for Ford F-250 Bronco 1980 1981 1982 1983 1984 1985 1986 1987 1988 1989 1990 1991 1992 1993 1994 1995. Engine Electrical for Ford F-250 Bronco 1980 1981 1982 1983 1984 1985 1986 1987 1988 1989 1990 1991 1992 1993 1994 1995. Ignition System for Ford F-250 Bronco 1980 1981 1982 1983 1984 1985 1986 1987 1988 1989 1990 1991 1992 1993 1994 1995. Starting for Ford F-250 Bronco 1980 1981 1982 1983 1984 1985 1986 1987 1988 1989 1990 1991 1992 1993 1994 1995. Charging System for Ford F-250 Bronco 1980 1981 1982 1983 1984 1985 1986 1987 1988 1989 1990 1991 1992 1993 1994 1995. Emissions for Ford F-250 Bronco 1980 1981 1982 1983 1984 1985 1986 1987 1988 1989 1990 1991 1992 1993 1994 1995. Engine Exhaust for Ford F-250 Bronco 1980 1981 1982 1983 1984 1985 1986 1987 1988 1989 1990 1991 1992 1993 1994 1995. Engine Lubrication for Ford F-250 Bronco 1980 1981 1982 1983 1984 1985 1986 1987 1988 1989 1990 1991 1992 1993 1994 1995. Engine Speed Control System for Ford F-250 Bronco 1980 1981 1982 1983 1984 1985 1986 1987 1988 1989 1990 1991 1992 1993 1994 1995. Clutch for Ford F-250 Bronco 1980 1981 1982 1983 1984 1985 1986 1987 1988 1989 1990 1991 1992 1993 1994 1995. Cooling for Ford F-250 Bronco 1980 1981 1982 1983 1984 1985 1986 1987 1988 1989 1990 1991 1992 1993 1994 1995. Electronic Control Modules for Ford F-250 Bronco 1980 1981 1982 1983 1984 1985 1986 1987 1988 1989 1990 1991 1992 1993 1994 1995. Engine Systems for Ford F-250 Bronco 1980 1981 1982 1983 1984 1985 1986 1987 1988 1989 1990 1991 1992 1993 1994 1995. Heated Systems for Ford F-250 Bronco 1980 1981 1982 1983 1984 1985 1986 1987 1988 1989 1990 1991 1992 1993 1994 1995. Horn for Ford F-250 Bronco 1980 1981 1982 1983 1984 1985 1986 1987 1988 1989 1990 1991 1992 1993 1994 1995. Ignition Control for Ford F-250 Bronco 1980 1981 1982 1983 1984 1985 1986 1987 1988 1989 1990 1991 1992 1993 1994 1995. Instrument Cluster for Ford F-250 Bronco 1980 1981 1982 1983 1984 1985 1986 1987 1988 1989 1990 1991 1992 1993 1994 1995. Lamps for Ford F-250 Bronco 1980 1981 1982 1983 1984 1985 1986 1987 1988 1989 1990 1991 1992 1993 1994 1995. Power Systems for Ford F-250 Bronco 1980 1981 1982 1983 1984 1985 1986 1987 1988 1989 1990 1991 1992 1993 1994 1995. Restraints for Ford F-250 Bronco 1980 1981 1982 1983 1984 1985 1986 1987 1988 1989 1990 1991 1992 1993 1994 1995. Speed Control for Ford F-250 Bronco 1980 1981 1982 1983 1984 1985 1986 1987 1988 1989 1990 1991 1992 1993 1994 1995. Transmission for Ford F-250 Bronco 1980 1981 1982 1983 1984 1985 1986 1987 1988 1989 1990 1991 1992 1993 1994 1995. Exhaust System for Ford F-250 Bronco 1980 1981 1982 1983 1984 1985 1986 1987 1988 1989 1990 1991 1992 1993 1994 1995. Body Structure for Ford F-250 Bronco 1980 1981 1982 1983 1984 1985 1986 1987 1988 1989 1990 1991 1992 1993 1994 1995. Seats for Ford F-250 Bronco 1980 1981 1982 1983 1984 1985 1986 1987 1988 1989 1990 1991 1992 1993 1994 1995. Security and Locks for Ford F-250 Bronco 1980 1981 1982 1983 1984 1985 1986 1987 1988 1989 1990 1991 1992 1993 1994 1995. Air Bag System for Ford F-250 Bronco 1980 1981 1982 1983 1984 1985 1986 1987 1988 1989 1990 1991 1992 1993 1994 1995. Exterior Trim for Ford F-250 Bronco 1980 1981 1982 1983 1984 1985 1986 1987 1988 1989 1990 1991 1992 1993 1994 1995. Interior Trim for Ford F-250 Bronco 1980 1981 1982 1983 1984 1985 1986 1987 1988 1989 1990 1991 1992 1993 1994 1995. Frame for Ford F-250 Bronco 1980 1981 1982 1983 1984 1985 1986 1987 1988 1989 1990 1991 1992 1993 1994 1995. Bumpers for Ford F-250 Bronco 1980 1981 1982 1983 1984 1985 1986 1987 1988 1989 1990 1991 1992 1993 1994 1995. Steering for Ford F-250 Bronco 1980 1981 1982 1983 1984 1985 1986 1987 1988 1989 1990 1991 1992 1993 1994 1995. Transmission and Transfer Case for Ford F-250 Bronco 1980 1981 1982 1983 1984 1985 1986 1987 1988 1989 1990 1991 1992 1993 1994 1995. Tires for Ford F-250 Bronco 1980 1981 1982 1983 1984 1985 1986 1987 1988 1989 1990 1991 1992 1993 1994 1995. Wheels for Ford F-250 Bronco 1980 1981 1982 1983 1984 1985 1986 1987 1988 1989 1990 1991 1992 1993 1994 1995. Emissions Control for Ford F-250 Bronco 1980 1981 1982 1983 1984 1985 1986 1987 1988 1989 1990 1991 1992 1993 1994 1995. Engine Removal for Ford F-250 Bronco 1980 1981 1982 1983 1984 1985 1986 1987 1988 1989 1990 1991 1992 1993 1994 1995. Engine Installation for Ford F-250 Bronco 1980 1981 1982 1983 1984 1985 1986 1987 1988 1989 1990 1991 1992 1993 1994 1995. Final Drive for Ford F-250 Bronco 1980 1981 1982 1983 1984 1985 1986 1987 1988 1989 1990 1991 1992 1993 1994 1995. Air cleaner element renewal for Ford F-250 Bronco 1980 1981 1982 1983 1984 1985 1986 1987 1988 1989 1990 1991 1992 1993 1994 1995. Air cleaner temperature control check for Ford F-250 Bronco 1980 1981 1982 1983 1984 1985 1986 1987 1988 1989 1990 1991 1992 1993 1994 1995. Auxiliary drivebelt check for Ford F-250 Bronco 1980 1981 1982 1983 1984 1985 1986 1987 1988 1989 1990 1991 1992 1993 1994 1995. Battery electrolyte level check for Ford F-250 Bronco 1980 1981 1982 1983 1984 1985 1986 1987 1988 1989 1990 1991 1992 1993 1994 1995. Battery terminal check for Ford F-250 Bronco 1980 1981 1982 1983 1984 1985 1986 1987 1988 1989 1990 1991 1992 1993 1994 1995. Brake hydraulic fluid renewal for Ford F-250 Bronco 1980 1981 1982 1983 1984 1985 1986 1987 1988 1989 1990 1991 1992 1993 1994 1995. Brake hydraulic system seal and hose renewal for Ford F-250 Bronco 1980 1981 1982 1983 1984 1985 1986 1987 1988 1989 1990 1991 1992 1993 1994 1995. Brake pipe and hose check for Ford F-250 Bronco 1980 1981 1982 1983 1984 1985 1986 1987 1988 1989 1990 1991 1992 1993 1994 1995. Choke adjustment check for Ford F-250 Bronco 1980 1981 1982 1983 1984 1985 1986 1987 1988 1989 1990 1991 1992 1993 1994 1995. Contact breaker point renewal and distributor lubrication for Ford F-250 Bronco 1980 1981 1982 1983 1984 1985 1986 1987 1988 1989 1990 1991 1992 1993 1994 1995. Crankcase ventilation system check for Ford F-250 Bronco 1980 1981 1982 1983 1984 1985 1986 1987 1988 1989 1990 1991 1992 1993 1994 1995. Emission control filter element renewal for Ford F-250 Bronco 1980 1981 1982 1983 1984 1985 1986 1987 1988 1989 1990 1991 1992 1993 1994 1995. Engine coolant renewal for Ford F-250 Bronco 1980 1981 1982 1983 1984 1985 1986 1987 1988 1989 1990 1991 1992 1993 1994 1995. Engine idle speed check for Ford F-250 Bronco 1980 1981 1982 1983 1984 1985 1986 1987 1988 1989 1990 1991 1992 1993 1994 1995. Engine oil and filter renewal for Ford F-250 Bronco 1980 1981 1982 1983 1984 1985 1986 1987 1988 1989 1990 1991 1992 1993 1994 1995. Engine valve clearance check - OHV engines for Ford F-250 Bronco 1980 1981 1982 1983 1984 1985 1986 1987 1988 1989 1990 1991 1992 1993 1994 1995. Exhaust system check for Ford F-250 Bronco 1980 1981 1982 1983 1984 1985 1986 1987 1988 1989 1990 1991 1992 1993 1994 1995. Fluid leak check for Ford F-250 Bronco 1980 1981 1982 1983 1984 1985 1986 1987 1988 1989 1990 1991 1992 1993 1994 1995. Fluid level checks for Ford F-250 Bronco 1980 1981 1982 1983 1984 1985 1986 1987 1988 1989 1990 1991 1992 1993 1994 1995. Front and rear brake pad/shoe check for Ford F-250 Bronco 1980 1981 1982 1983 1984 1985 1986 1987 1988 1989 1990 1991 1992 1993 1994 1995. Front wheel alignment check for Ford F-250 Bronco 1980 1981 1982 1983 1984 1985 1986 1987 1988 1989 1990 1991 1992 1993 1994 1995. Gearbox oil level check for Ford F-250 Bronco 1980 1981 1982 1983 1984 1985 1986 1987 1988 1989 1990 1991 1992 1993 1994 1995. Handbrake check for Ford F-250 Bronco 1980 1981 1982 1983 1984 1985 1986 1987 1988 1989 1990 1991 1992 1993 1994 1995. Hinge and lock check and lubrication for Ford F-250 Bronco 1980 1981 1982 1983 1984 1985 1986 1987 1988 1989 1990 1991 1992 1993 1994 1995. HT lead, distributor cap for Ford F-250 Bronco 1980 1981 1982 1983 1984 1985 1986 1987 1988 1989 1990 1991 1992 1993 1994 1995.
ignition circuit check for Ford F-250 Bronco 1980 1981 1982 1983 1984 1985 1986 1987 1988 1989 1990 1991 1992 1993 1994 1995. Ignition timing for Ford F-250 Bronco 1980 1981 1982 1983 1984 1985 1986 1987 1988 1989 1990 1991 1992 1993 1994 1995.
contact breaker gap (dwell angle) check for Ford F-250 Bronco 1980 1981 1982 1983 1984 1985 1986 1987 1988 1989 1990 1991 1992 1993 1994 1995. Intensive maintenance for Ford F-250 Bronco 1980 1981 1982 1983 1984 1985 1986 1987 1988 1989 1990 1991 1992 1993 1994 1995. Mixture adjustment check for Ford F-250 Bronco 1980 1981 1982 1983 1984 1985 1986 1987 1988 1989 1990 1991 1992 1993 1994 1995. Road test for Ford F-250 Bronco 1980 1981 1982 1983 1984 1985 1986 1987 1988 1989 1990 1991 1992 1993 1994 1995. Roadwheel security check for Ford F-250 Bronco 1980 1981 1982 1983 1984 1985 1986 1987 1988 1989 1990 1991 1992 1993 1994 1995. Seat belt check for Ford F-250 Bronco 1980 1981 1982 1983 1984 1985 1986 1987 1988 1989 1990 1991 1992 1993 1994 1995. Spark plug check for Ford F-250 Bronco 1980 1981 1982 1983 1984 1985 1986 1987 1988 1989 1990 1991 1992 1993 1994 1995. Spark plug renewal for Ford F-250 Bronco 1980 1981 1982 1983 1984 1985 1986 1987 1988 1989 1990 1991 1992 1993 1994 1995. Steering and suspension security check for Ford F-250 Bronco 1980 1981 1982 1983 1984 1985 1986 1987 1988 1989 1990 1991 1992 1993 1994 1995. Throttle damper operation check for Ford F-250 Bronco 1980 1981 1982 1983 1984 1985 1986 1987 1988 1989 1990 1991 1992 1993 1994 1995. Timing belt renewal for Ford F-250 Bronco 1980 1981 1982 1983 1984 1985 1986 1987 1988 1989 1990 1991 1992 1993 1994 1995. Tyre checks for Ford F-250 Bronco 1980 1981 1982 1983 1984 1985 1986 1987 1988 1989 1990 1991 1992 1993 1994 1995. Underbody inspection for Ford F-250 Bronco 1980 1981 1982 1983 1984 1985 1986 1987 1988 1989 1990 1991 1992 1993 1994 1995. Wiper blade check for Ford F-250 Bronco 1980 1981 1982 1983 1984 1985 1986 1987 1988 1989 1990 1991 1992 1993 1994 1995. 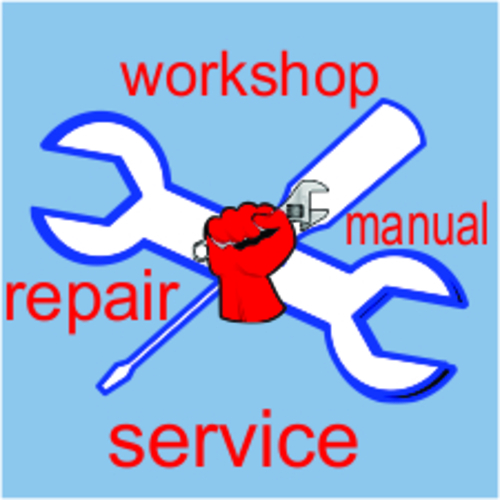 Ford F-250 Bronco 1980 1981 1982 1983 1984 1985 1986 1987 1988 1989 1990 1991 1992 1993 1994 1995 Workshop Repair Service Manual.